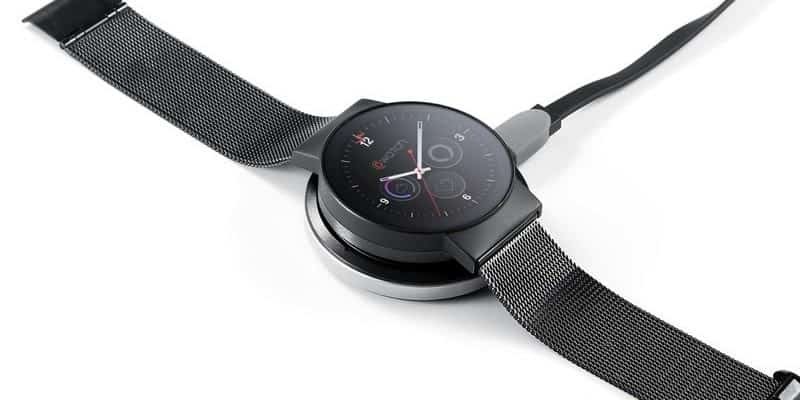 iMCO Watch, formerly known as CoWatch is an intelligent, voice-activated personal assistant that leverage cutting-edge technology for outstanding performance. Designed for a smarter way of life, the watch is a powerful arsenal of apps and features that include Alarm, Alternate Timezone, Calendar, Music Bluetooth Control, Notifications, Step Counter, Heart Rate Monitor, Stopwatch, Timer, Weather, Speed Dial, and If-This-Then-That (IFTTT) Integration. With the Amazon Alexa Voice Services powered by Amazon Echo, Echo Dot speakers, and IFTTT onboard, users can personalize and configure watch IF App Containers to perform virtually any action. You can ask iMCO Watch to hear the news, get the weather, check the traffic, order a pizza, control smart home, check the calendar, track Amazon orders, make a phone call, and more using voice commands. For a personalized look, iMCO has created a variety of stunning watch faces that can be paired with any ensemble and for easy access all watch apps are seamlessly integrated with the watch faces. The decorative ceramic ring can be customized with specially designed graphics like Four leave clover, Mobius, Conquer the world and Spades J. A classic combination of fashion and functionality, the watch has a stainless steel case body, AMOLED full-circle display, a 1GB RAM and 8GB Flash Memory and is dust and water resistant. iMCO Watch is exclusively available in India on Yerha.com and comes in two colors- mineral silver and carbon black at an affordable price of Rs. 13,900.